RT Book Reviews TOP PICK! 2013 Reviewers' Choice Best Book Award Nominee! Ivan Korovin is determined to cement his evolution from dirt-poor, dreamless kid to billionaire philanthropist. First he has a serious PR problem to take care of: outspoken Miranda Sweet has ruined his reputation by labeling him “Caveman #1” in her bestselling book. Fake Relationship, Good Girl/Bad Boy, Hollywood, Meddling Relatives?, MMA Fighter/Martial Artist, Revenge, Russian Hero, Scandal! 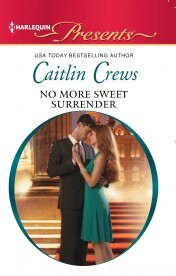 Follow Caitlin's No More Sweet Surrender board on Pinterest. One moment Professor Miranda Sweet was trying to slip through the scrum of people outside the Georgetown University Conference Center, where she'd just delivered her keynote speech to attendees of the Global Summit to End Violence in Media, and the next, someone was gripping her arms. Hard. Mean. Enough to bruise. She clenched her hands tight on the handle of her bag as she was swung around, wholly against her will—and then there was a man's face much too close to hers, invading her space. The warm spring afternoon in Washington, D.C., seemed cold and hostile, suddenly. She had the hectic impression of angry words with a belligerent scowl, and the swift and terrifying understanding that this man wished her ill.
And like that, she was a girl again. Helpless and scared and cowering in the corner while her father raged and smashed things, then turned his furious glare on her. Just like the girl she'd been then, she shook. "What—" she began, shocked to hear the quaver in her voice that reminded her of that helpless version of herself she'd thought she'd buried almost ten years ago. "You need to listen instead of talk, for once," the strange man growled at her, his words heavily accented. But then there was another hand, this one smooth and gentle against the small of her back, though it was also undeniably strong. It felt almost possessive as it drew her inexorably away from the man who'd grabbed her and brought her up against a broad male chest. Miranda lost her breath. She knew she should have protested—screamed, swung out with her bag, perhaps—but something stopped her. It was the strangest sensation, as if she was safe, despite all evidence to the contrary. The hard fingers around the tender flesh of her upper arms dropped away, at last, and she tilted her head back to blink in astonishment at the man who still held her close to him. Like some kind of protector. Like a lover. But she knew who he was, she realized in astonishment. And she knew he was neither of those things. "You have made a mistake," he told the other man, his Russian-flavored voice cold. He recognized her, too, Miranda knew when he looked down at her again. She saw the flare of it in his deep black eyes, and despite herself, she felt an echoing chill of that recognition shiver down her spine and shake its way through her. She had studied this man, taught his films and his fights in her classes. She had discussed what she felt he represented, at length, in print and on television. But she had never met him before. She had certainly never touched him. He was Ivan Korovin. The Ivan Korovin. Former undefeated mixed martial arts champion, current Hollywood action movie darling, famous for being exactly what he was and everything Miranda hated: unapologetically aggressive, casually brutal and celebrated hither and yon for both. He was the tall, dark and entirely too handsome walking embodiment of everything she'd built her career fighting against. The angry man barked out something then that she didn't need to speak Russian to understand was cruel and vicious. She'd heard that tone before, and she felt it like a blow to her stomach just the same. 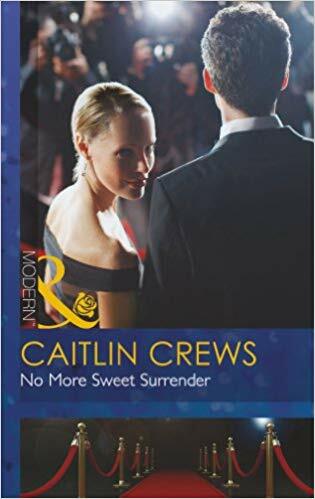 Miranda felt every famous inch of Ivan Korovin, pressed against her as he was—hot and hard and not, it turned out, air-brushed in any way beneath the luxurious suit he wore—stiffen with tension. "Be very careful you do not insult what belongs to me," he warned in that low voice of his that was richer and more stirring in person than on film. It seemed to wash over her like a heat rash, making her skin prickle in reaction. It confused her. It came far too close to scaring her in a wholly different way. It made her almost miss the impossible, absurd thing he'd just said. 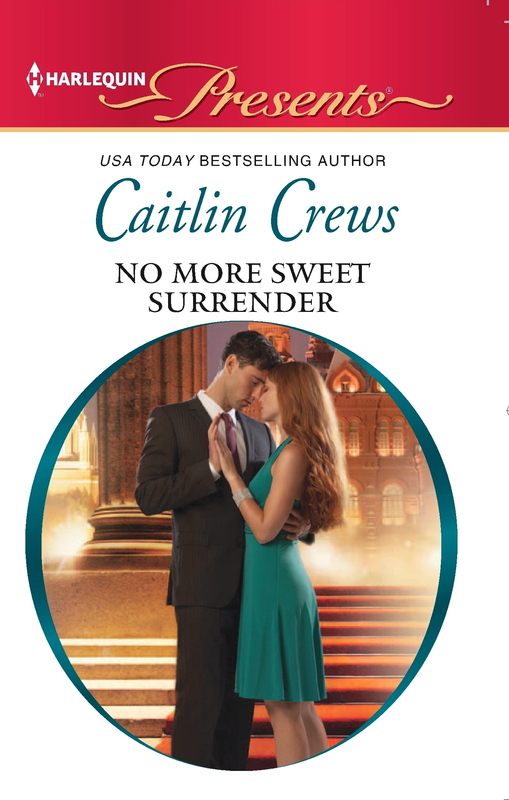 "I do not mean to trespass, of course," the other man said then, his small, mean eyes still fastened on Miranda in a way that made her shift uneasily in what no doubt looked like Ivan's embrace. Though she did nothing to extricate herself, and on some level she thought less of herself for her own cowardice. "It does me no good to have you as my enemy." Ivan's smile then was like one of the weapons they claimed he didn't even need, so lethal was he without them. With only his hands and his skill. "Then be certain you never lay hands on her again, Guberev." Miranda could feel it when he spoke, this man made of brute force and extreme physical prowess, the dark timbre of it rumbling through her like an expensive engine, powerful and low, making parts of her she'd never paid much attention to before seem to… spark. What was the matter with her? She much preferred brains to brawn, thank you. She always had, due to her father's reliance on his superior strength and size throughout her violent childhood under his deceptively well-manicured roof in tony Greenwich, Connecticut. And besides…this was Ivan Korovin! Miranda had been a regular face on the news and talk-show circuit ever since she'd published her doctoral dissertation as a surprisingly well-received book two years back. Caveman Worship focused on the widespread hero worship of particularly brutal professional sports figures. She considered herself a much-needed voice of reason in a tragically violent world that adored brutes like the famously reclusive and tight-lipped Ivan Korovin—both the one he'd been in his mixed martial arts days and the one he'd played in the incredibly violent Jonas Dark action films for the past few years since his retirement from the ring. She pushed back against his absurdly chiseled chest, ignoring the way all of that smooth muscle felt against her palms. She hardly heard the other man's insincere apologies then, because she was caught up in Ivan Korovin's searing midnight gaze instead. And suddenly, a wild staccato sort of pounding seemed to beat through her veins, thick and sweet and dizzying, and she thought her legs might give out from underneath her. It turned out that the camera did him no favors. On screen he looked tough, dangerous. A lethal killing machine, forged in a bloodthirsty fire. He was usually half-naked and extravagantly tattooed—an extraordinarily powerful punch of sheer masculinity who could mow through his opponents like they were made of butter, and usually did. A Neanderthal, Miranda had always thought. And had felt comfortable calling him in a variety of public places. And he was certainly that, as well as tall and hard-packed with all of that sleek and solid muscle, as expected—but this close Miranda could see that he was surprisingly, shockingly beautiful in his ruthlessly male way, for all that he was also so clearly battered from all of his years of fighting. The nose he'd obviously broken a few times couldn't take away from the perfect lushness of his mouth. The scar on his forehead faded next to the sheer glory of his cheekbones. 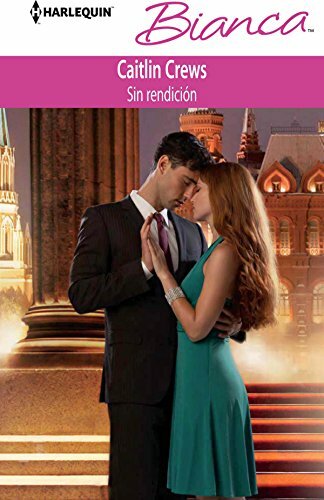 The gorgeous, expertly tailored suit he wore made him a kind of elegant suggestion of a threat instead of the direct one she'd always considered him, and she was completely thrown by the surprising gleam of intelligence in his too-dark eyes. It was like falling over a cliff into a very deep, very dark abyss. Miranda forgot about the angry man who'd started this by grabbing her. She forgot the old, awful memories he'd stirred up, and her own ingrained cowardice. She forgot everything. Even herself, as if there was nothing in all the world but the way Ivan Korovin was looking at her. And Miranda never forgot herself. She never lost control. Never. She was appalled that she had to remind herself of that. "What belongs to you?" she asked, echoing back his words, trying to regain her balance. "Did you just refer to me as if I'm some kind of possession? Like a goat?" There was no reason he should have smiled like that, that dark quirk of his dangerously beautiful mouth. There was even less reason that she should have felt it like a touch against her skin, long and lingering. And she certainly shouldn't have felt an answering sort of echo, a deep and irresistible pull, low in her belly. It occurred to her then that he was far more dangerous than even she'd believed, and she'd only last week called him the bogeyman on national television. "I am a very possessive man," he told her, his accent making the words seem almost like a caress. He flicked a hard look at the other man who still stood there, reeking of malice and terrible cologne, then returned his dark, brooding gaze to Miranda's. And she felt it. Everywhere. "It is a terrible flaw." He tugged her closer to him with embarrassing ease then, plastering her against him as if she had no will of her own, which was, frighteningly, exactly how she felt—and then he simply bent his head and claimed her mouth with his. She had no time to think. His lush and beautiful mouth was shockingly carnal against hers, wicked and clever, demanding and hot. When he finally lifted his head, his black eyes were burning with the same fire Miranda felt consuming her. There was a ringing in her ears, and she couldn't feel her own hands where they were braced against his great wall of a chest. She had the vague thought that she might actually be having a heart attack. And then, a moment later, she knew she only wished she was—the better to avoid, forever, what had just happened. What he'd done and, worse, what she'd felt. What she hadn't so much as offered up a token protest against. What was still raging through her like an electrical storm, knocking down power lines and leaving her stunned. He muttered a pretty word that she was certain was a curse, but speared through her like a wild flame. "Milaya." For a wild, panicked moment then, she thought she really had burst into flames after all. Bright lights exploded all around her and she realized, dazedly, that they'd been flashing for some time. It took her one ragged breath, then another, to understand that it was not his kiss—though she could still feel it storming through her, shuddering and spinning out that wild heat, making her something like nauseated and restless and humili-atingly desperate for more, all at once—or even that demanding, challenging way he was looking at her now. It wasn't his hard, capable hands that still held her against him. It wasn't even that sudden slap of fearful vulnerability that she was still too afraid he could read. It was the cameras. The paparazzi who hung on Ivan Korovin's every taciturn word and calculated deed, recording the entire insane situation for posterity and plastering it all over those glossy supermarket magazines. And they'd certainly gotten a show today, hadn't they? The angry man was gone, as if he'd never been. There was only Ivan Korovin and the aftereffects of that searing kiss. And Miranda was forced to face the unsavory truth: she'd just been caught with one of her staunchest opponents, the man who had once dismissed her by calling her a tiny, yip-ping dog on a famous nightly talk show to the sound of much approving applause. Kissing him, no less. In public. At an international summit teeming with policy makers, academics and delegates from at least fifteen countries, all as deeply and philosophically opposed to everything he stood for as she was. Miranda had to assume that every last moment of it was on film. The avid, delighted expressions of the jostling throng of reporters surrounding her assured her that it was. Which meant, she knew with a terrible sinking sensation inside, that her entire career had just taken one of the knockout body blows for which Ivan Korovin was so famous. To say nothing of the rest of her. If looks could kill, Ivan reflected a short time later, the redheaded professor would have eviscerated him while the cameras still rolled. He'd moved fast after he'd kissed her, that serious lapse in judgment he was still having difficulty justifying to himself. He'd had his security people clear a path into the conference hotel. Once inside, he'd directed her into a secluded seating area behind a riot of plants. She hadn't looked at him again and he'd imagined she was fighting with a truth that must have been wholly unpalatable for this self-appointed harpy who fought against all he wanted to accomplish: she owed him her thanks. Her gratitude. A better man might not have taken such satisfaction in that, but then, Ivan had never pretended to be anything but what he was. What would be the point? But when she lifted her gaze to his—that slap of dark jade that he found intrigued him far more than it should, far more than he was comfortable admitting, even to himself—he understood that she had no intention of thanking him. She was furious. At him. He wasn't surprised. But he was too much the fighter, still and always, not to see a flare of temper in another and want to meet it. Dominate it and control it. After all, he thought with a certain grimness, he owed her. She'd been making his life difficult for going on two years now. Was there any name she hadn't called him? Any lie she wasn't prepared to tell to make her point, no matter what it cost him? Her voice echoed in his ears even now, painting him in the worst possible light, turning public opinion against him, announcing to anyone who would listen that he was exactly the kind of monster he'd spent his life fighting— Oh, yes. He owed her. "What," she asked, her voice dripping with a mix of ice and fury, as if he was nothing more than a naughty student misbehaving in one of her classes, as if she was unaware of her own peril, "was that?" "Did I startle you?" he asked idly, as if fighting off deep boredom. As if he'd already half forgotten her. It made her dark eyes glint green with outrage. "I thought it best to act swiftly."